STRIPED BASS fishing has been fantastic. Larger “Cow Bass” can still be caught on the local reefs and shoal/ rip areas with a live eel. Top water plugs along with bunker (Atlantic menhaden) on three-way or slider rigs have also been the ticket. Try your local beach and shore access area...stripers are pushing the “peanut” bunker right to the shoreline. Cast top water plugs and be ready for some fast paced fishing action with bass up to 46 inches reported. BLUEFISH fishing remains good. The mouths of the Thames, Connecticut and Housatonic rivers during flood tide may be your best bet for both stripers and blues. 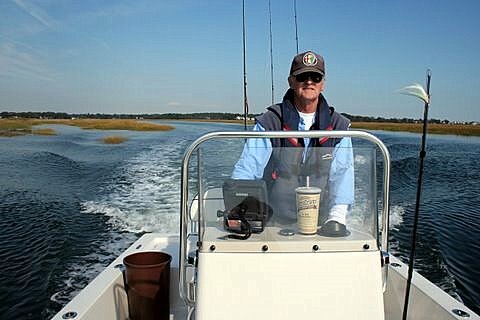 Other fishing spots include the Watch Hill reefs, Ram Island Reef in Fishers Island Sound, the Race, Sluiceway, Pigeon Rip, Plum Gut, outer Bartlett Reef, Black Point, the “humps’ south of Hatchett Reef, Long Sand Shoal, Cornfield Point, Southwest Reef (outer), Six Mile Reef, Falkner Island area, the reefs off Branford, New Haven Harbor, Charles Island area, buoys 18 and 20 off Stratford Point, Stratford Shoal/Middle Ground, Penfield Reef, around the Norwalk Islands, and Cable and Anchor Reef. BLACKFISH fishing is excellent with this beautiful fall weather and calm winds. Two “monster” taugs of 26 and 24 pounds have been weighed in. Try fishing areas off the beaten path instead of the popular reefs in order to improve your chances. Any of the rocky reefs, rock piles, and wrecks in LIS will hold tog (you don’t have to venture far – close to shore has been productive). Half a Green, Asian or Hermit Crab will work. Consider putting the crab (bait) on a jig (1/4 to 1 ounce). It’s still been a shallow water bite (8-28 feet) for now. However, the togs will move deeper as the water cools. BLACK SEA BASS and PORGY fishing continues to be very good. Any of the rocky reefs will provide nonstop action. It’s a deep water bite (90’-120’). Time is slipping away... before they migrate out of the Long Island Sound!